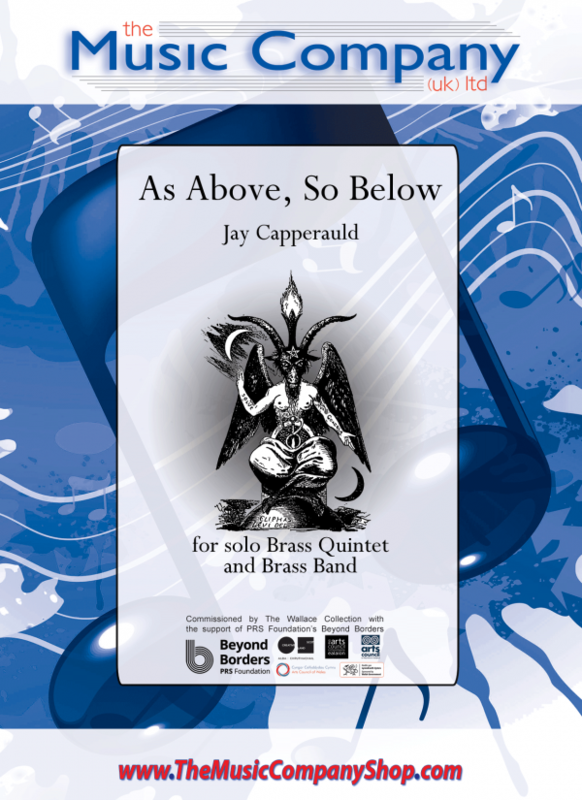 An original composition for brass band and brass quintet by Jay Capperauld was commissioned by John Wallace and The Wallace Collection with the support of the PRS Foundation’s Beyond Borders. 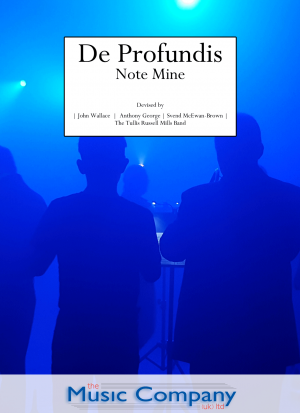 This major work enjoyed its world premiere at The Cumnock Tryst on 30 September 2017 at Cumnock Old Church, performed by The Wallace Collection and Dalmellington Band, conducted by Martyn Brabbins. Based on the Hermetic maxim “As Above, So Below”, the phrase comes from the cryptic text of The Emerald Tablet, which was purportedly written by a mysterious character who is thought of as an amalgamation of Greek and Egyptian Gods, Hermes Trismegistus. The text first appears in Arabic between the 6th and 8th Centuries and is intended to outline the primitive and hidden sources that constitute the basis of all matter in the universe. The phrase “As Above, So Below” implies an essential “oneness” of all matter and a correlation between the physical elements and supernatural entities that make up our surroundings. The philosophies expressed within The Emerald Tablet have become a founding principle of Alchemy, Occultism, Witchcraft, Theosophy and various other ancient gnostic systems of belief, and this work attempts to explore these forms of so-called “secret knowledge” in a ritualistic trance-like Adagio steeped in the esoteric. 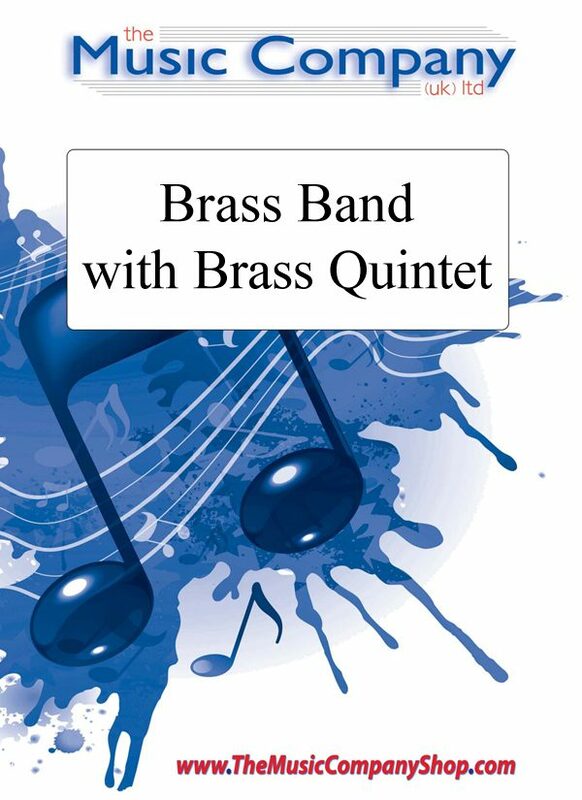 The Brass Band is placed at the centre of the stage while the solo Brass Quintet are spread antiphonally around the concert hall and are placed above both the Brass Band and the audience in an attempt to create a direct dialogue between the Above and the Below. 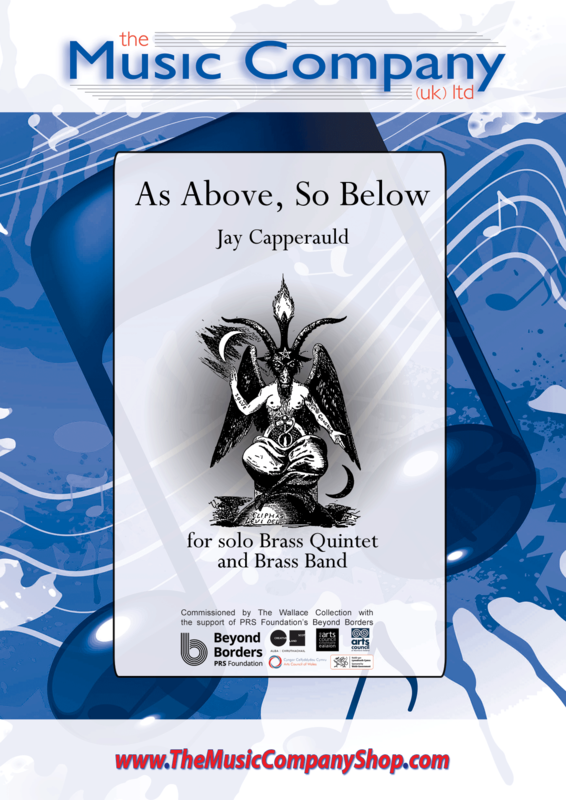 Therefore, the piece endeavours to explore the meaning behind the text of The Emerald Tablet as well as the phrase ‘As Above, So Below’ in a music context while giving particular attention to the ‘SOLVE’ (Latin for ‘Separate’ which correlates to the Above) and ‘COAGLUA’ (Latin for ‘Join Together’ which relates to the Below) that is depicted in the image of the Baphomet by the French occultist author, Eliphas Levi, which is a visual representation of the phrase ‘As Above, So Below’. It was not until the work was complete that the role of the main melody became clear when an unexpected and inadvertent correlation between this melody and that of the Latin Dies Irae presented itself. The plainchant nature of As Above, So Below’s melody became a defining feature of the piece and when compared to the melody of the Dies Irae (a similar melody reminiscent of that contained within As Above, So Below), some interesting and unsettling implications unveiled themselves. Both melodies adhere naturally to the plainchant idiom, which in itself strongly relates to a supernatural (or quasi-religious) element in both cases. Both melodies originate in the key of D; the Dies Irae resides in the Dorian Mode on D while the As Above, So Below melody inhabits the D Octatonic Scale. Both melodies can be divided into three distinct phrases, although the melody to As Above, So Below can be divided into three phrases in a number of ambiguous ways. The most striking and unnerving connection is that, by pure chance, the Latin text to the Dies Irae fits perfectly under both melodies giving an entirely specific context to how the melodies are perceived. By understanding the As Above, So Below melody as an alternative to that of the Dies Irae and by interpreting it in the same context, the connotations of the Dies Irae’s otherworldliness, and the suggestion of a dialogue with the supernatural and death adds a richer dimension to the As Above, So Below melody which in turn solidifies the esoteric concept of this work. In conclusion, this unanticipated and purely accidental relationship between both melodies is worthy of note more so from an emotional and contextual perspective rather than from any analytical evaluation concerning the music itself – it is the circumstance of the so-called “secret knowledge” that has presented itself within the inner workings of As Above, So Below.